Durable External Storage for Heavy User! World Fast 1,500Mbps SATA Pocket HDD Enclosure! Plug any type of ATA/133, ATA/100, ATA/66, ATA/33, EIDE or IDE 2.5inch Hard Disk inside and make them become new Serial ATA Slim Pocket HDD and meet new Serial ATA standard. 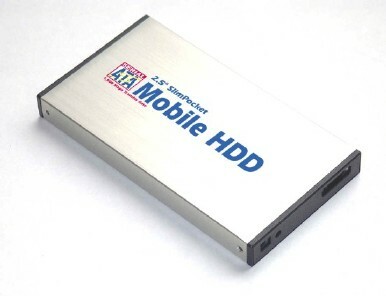 This Enclosure can support HDD larger than 137GB.